Breakfast Specials Served Until 10:00 A.M.
#1 – Two eggs, hash browns or John’s Potatoes, and choice of toast. #2 – Two eggs, and three buttermilk pancakes. #3 – French Toast and two bacon strips. #4 – Two Strawberry Rolled Crêpes (Two). #5 – Hot oatmeal, choice of toast, and a small orange juice. Breakfast is often cited as being the most important meal of the day. 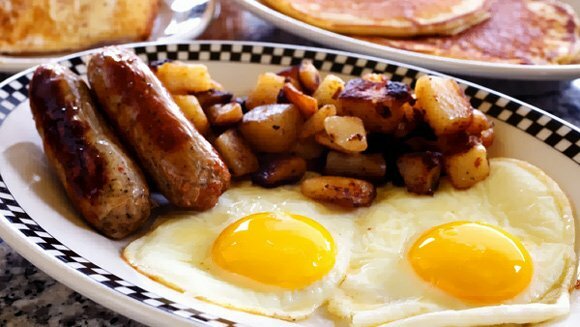 Stop by Uncle John’s Pancake House, and get your day off to a great start!